We are asked this time of year whether employees are required to get flu vaccines. This short list of links is intended to help you begin your research. Wisconsin Statute 252.041 "Compulsory vaccination during a state of emergency"
Recent subject indexes to legislation show bills relating to vaccination that have not passed to become law. Information about what an employer can require, presented in a question and answer format. The Wisconsin State Law Library's downtown Madison location was named the David T. Prosser, Jr. State Law Library during a ceremony on Wednesday, October 20, 2016. The event, attended by a number of public officials, marked Prosser's 40 years of public service on the Supreme Court, Tax Appeals Commission, and Legislature prior to his retirement in July of 2016. Last night's ceremony was also an opportunity to highlight the library's 180 years of service to the State of Wisconsin. 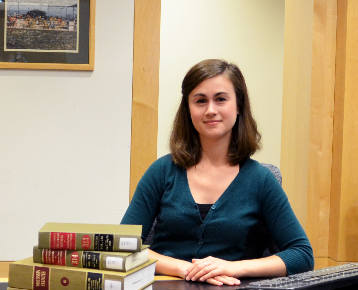 "Some have called law libraries 'the lawyer’s laboratory.' It is a lawyer's laboratory because lawyers and judges and others do investigative work here - just as a chemist may do investigative work in her laboratory," Chief Justice Roggensack said in a press release issued by the Wisconsin Court System. 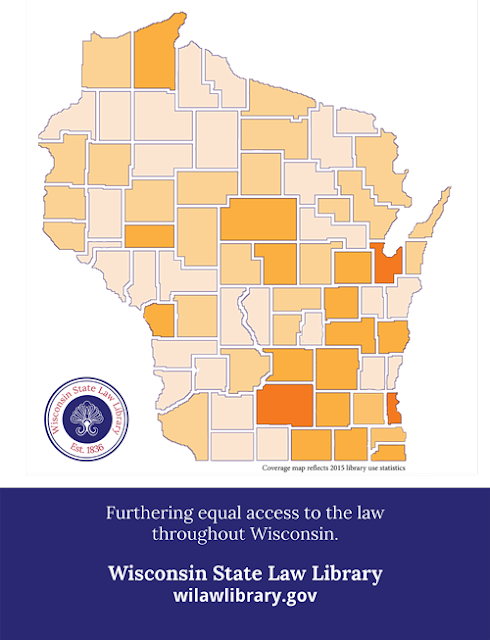 The library is proud to continue to provide our professional expertise and outstanding collection to legal researchers throughout Wisconsin. 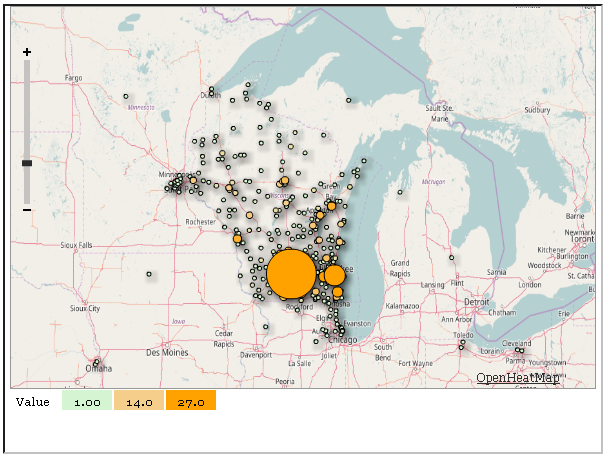 Our three library locations in Madison and Milwaukee serve users through email and phone, as well as in person. All of our libraries are open to the public. Stop on by, give us a call, or send us an email. The November 8th general election is just around the corner. If you haven't voted yet, take some time to find out how to get to your polling location and preview your local ballot. Sign in to My Vote Wisconsin to see your polling location, voter registration status, and sample ballot. If you voted absentee, you can check whether your ballot has been recorded as received on this website as well. Choose "My Voter Info", enter your information, and see your voting information, including the status of any absentee ballot you may have already submitted. You can also learn how to register to vote from this website. From "What's on My Ballot", enter your information to see the sample ballot for your location. Learn about local elections and special ballot measures before you head to the polls by previewing your ballot here. Voter photo ID is required. Visit Bring it to the Ballot to learn more. When drafting a commercial lease agreement, entering into a new lease, or challenging provisions of a lease, you want access to authoritative information. 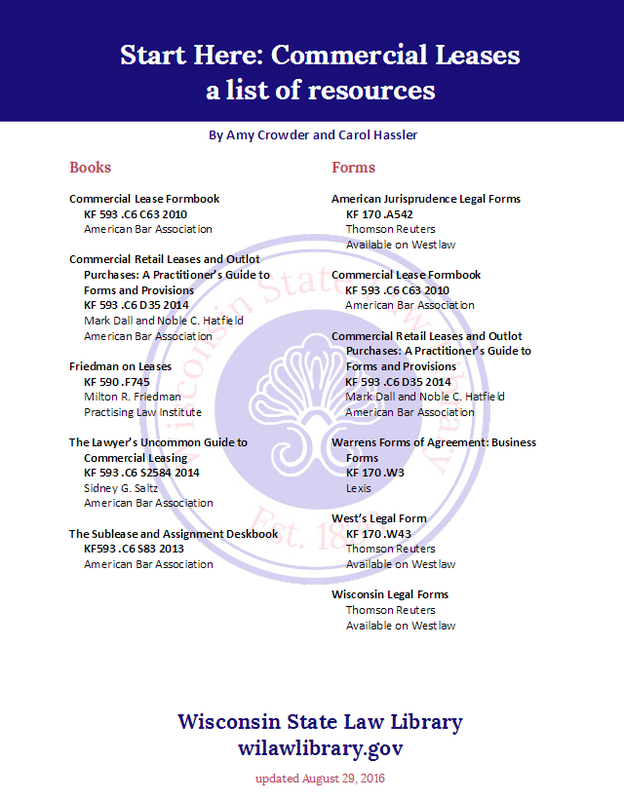 Our Commercial Lease guide includes top books and online sources in our library for analysis and sample form language. Start your research with our Commercial Lease guide. 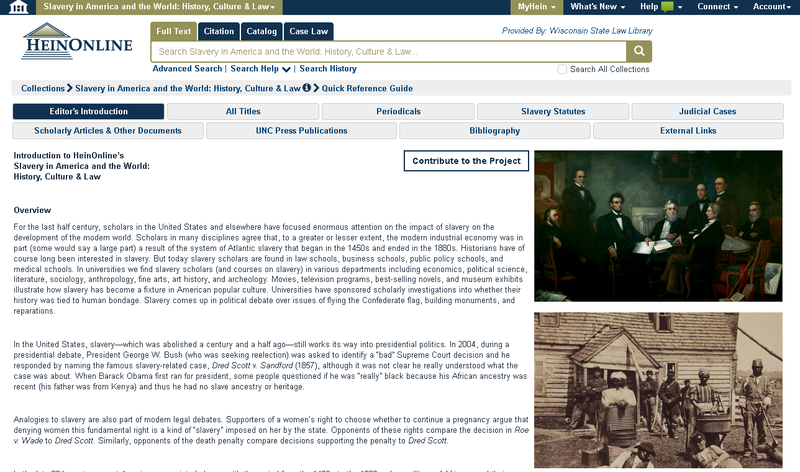 Our Start Here guides are quick lists of informative materials in the library's print and online collections. 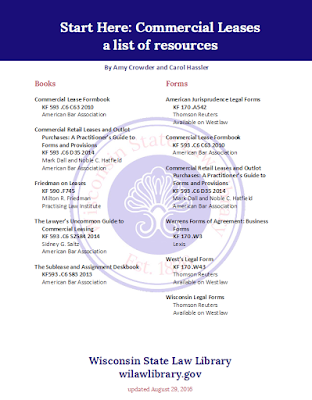 Everything listed in this guide is available at the Wisconsin State Law Library and can be checked out with one of our library cards.